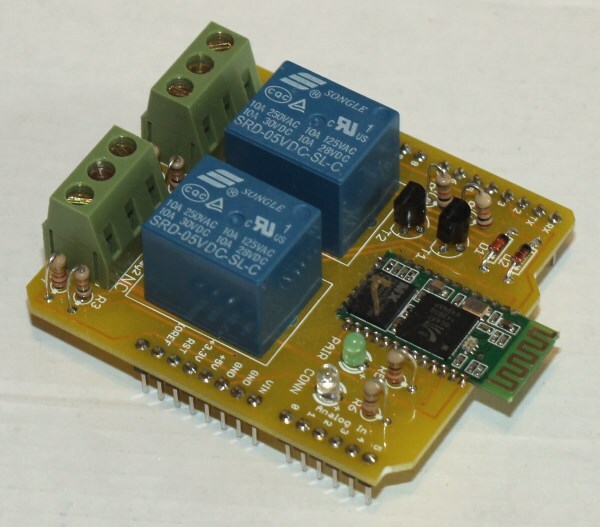 Using this shield you can switch on/off two loads (connected to the relays) sending commands via Bluetooth. 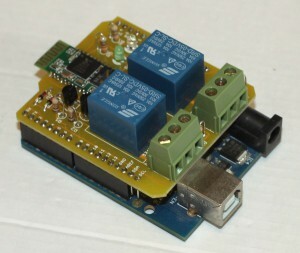 The included HC-05 module allows a Bluetooth device to talk with Arduino via a virtual serial connection: its RX and TX pins are connected with two Arduino’s digital pins (3 and 4); a third pin is connected with pin 5 and is used to enter the command mode (AT-mode), that is the configuration mode for the module. 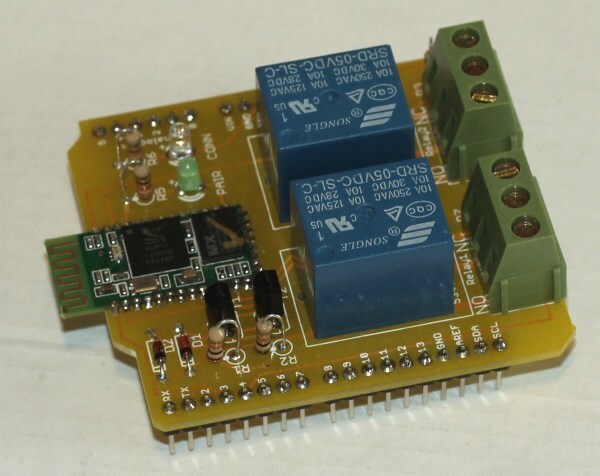 The two relays, with a maximum current of 10A, have the outputs connected with the terminals. The center contact of each terminal is the common, while the lateral ones are NC (normally closed) and NO (normally opened). The relays can be switched using two digital pins (6 and 7). 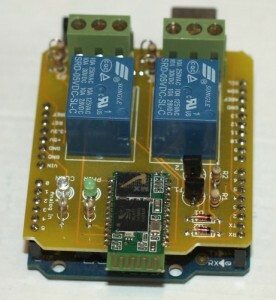 The shield has two leds, one green and one blu, that tells you when a device is paired and when it is connected to the Bluetooth module. In the next posts, I’m going to show you how to configure the Bluetooth module and how to develop a sketch to switch relays on and off with a Bluetooth device (mobile phone, tablet…).